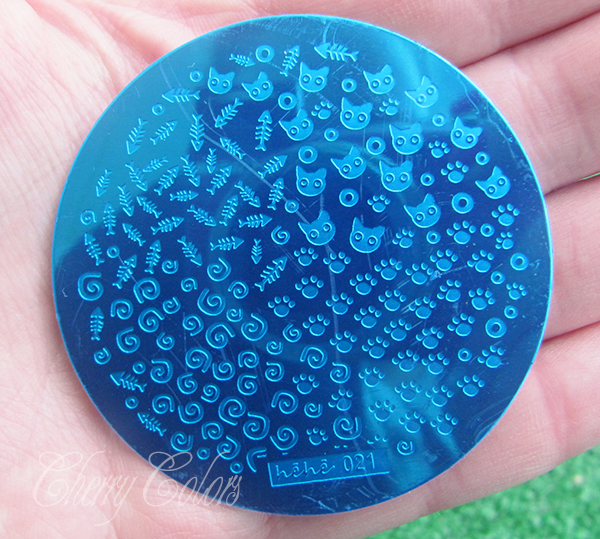 Review: Cute cat stamping plate - Cherry Colors - Cosmetics Heaven! I was asked by a new store - LadyQueen if I would be interested in reviewing some products. Well I was intrigued and said yes. 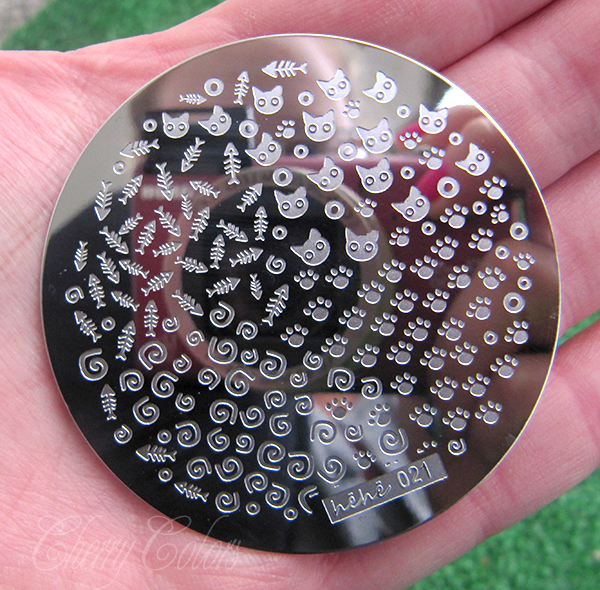 The first product I will show you is a stamping plate, a cute one to be exact. 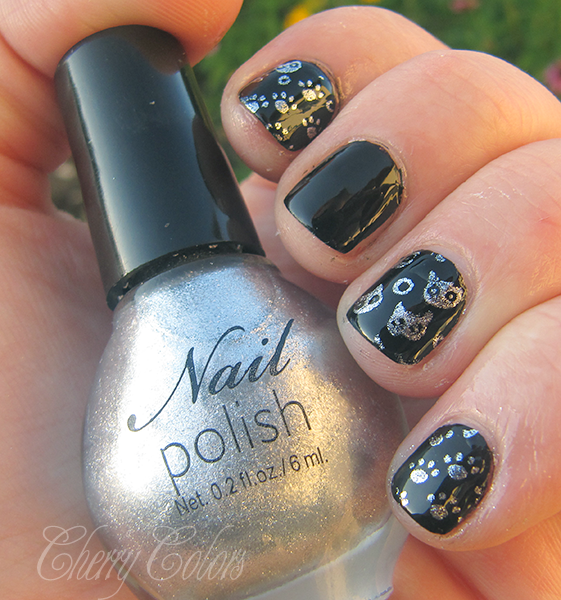 It's the NA0553 Nail Art Stamp Template that has kitties and fish bones all over it. It is so damn cute that I had to have it. The shipping time took a month, which is similar to other Chinese stores. Like all the plates, it comes with a protective foil over it. The removal of the foil is also easy. I still have my "beginner's stamping set" that includes a pink stamper and an "upgraded" store card. Usually this set poses some problems, but this plate has a nice engraving so picking the design up wasn't problematic. It was a breeze. 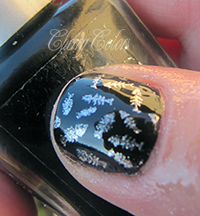 I used my H&M nail polish with it, because I had the idea it would be perfect for stamping. And it is! I couldn't be happier and can't wait to use it more. The kitties are the part I stamped as first, so they aren't perfect. But since practice makes perfect, all the other stamped fingers look so much better. It's not the plate, it's me :D.
I am very pleased with this plate. It's pretty, I can stamp well with it and every time I look at my nails, it makes me happy. It's the perfect plate for everyone - kitty lovers and well everyone else =D. You can get a 15% discount if you use the code HNLC15.